Check in will begin outside the Willamette Room at 10 a.m. 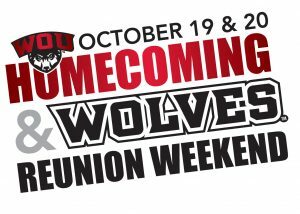 This is your first chance to see your former classmates, reconnect with friends and collect your Homecoming gear for the weekend. 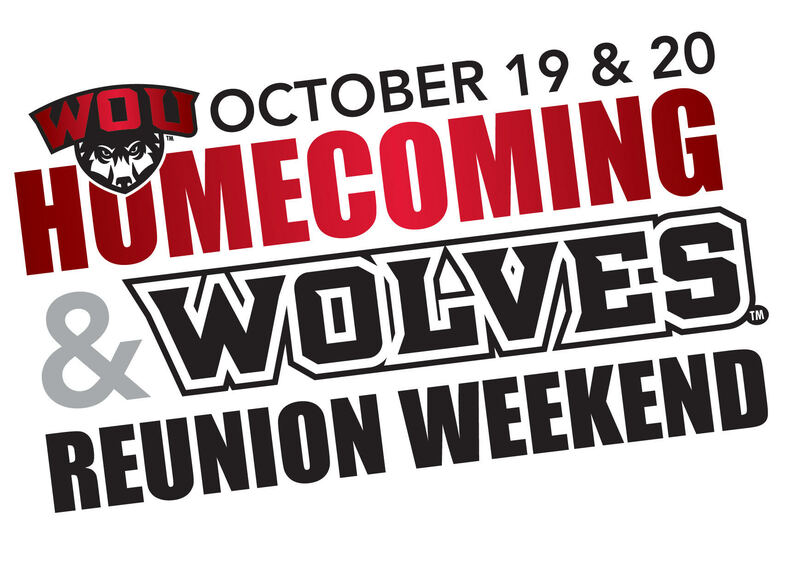 Enjoy a special performance of WOU’s Alma Mater from WOU’s Chamber Choir! Student lead tours through residence halls! Student lead tours through campus! Arrange for time to meet with friends, walk through the Campbell Hall art gallery, grab coffee or a snack at one of coffee shops on campus- Cafe Allegro located in the Werner University Center or The Press, proudly featuring Starbucks coffee, located in the Hamersly Library- take a walking tour of campus, visit local restaurants and bars, etc. 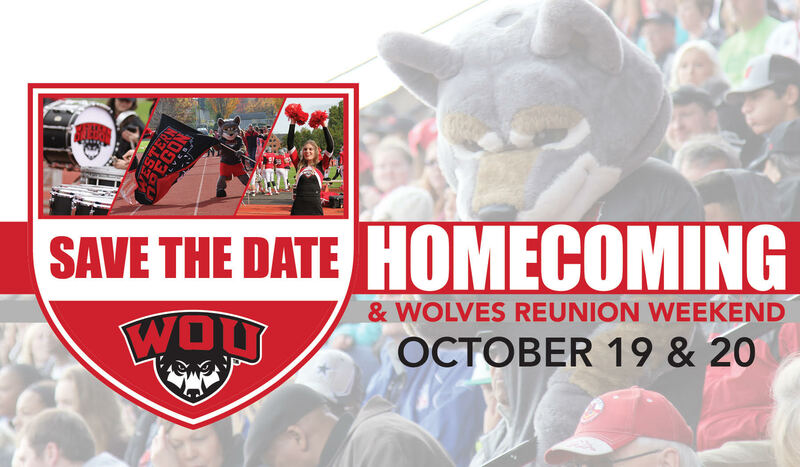 Enjoy live music played by WOU students, a buffet dinner, open bar and entertainment! Another chance for Golden Wolves and Vets Village residents to come together! *All are welcome! get filled up and caffeinated before the game! $12 per person, includes coffee, tea and brunch food! Kids 12 and under are free! Missed the tours on Friday? The same tours will be offered on Saturday! Giveaways, snacks, pictures with Wolfie and games! 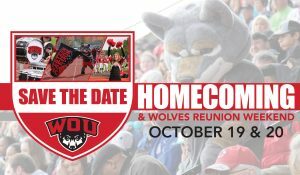 For game tickets, visit wouwolves.com and reserve yours!